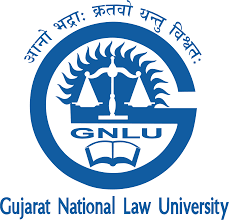 GNLU Centre for Corporate and Competition Law is organising GNLU- Indian Business Laws & Commercial Laws Academy 2018 at Gujarat National Law University from 2nd July 2018 to 21st July 2018. GIBCLA course is a full-time, intensive programme, consisting of 45 contact hours over the three-week period, generally taking the form of 36 hours of lectures and 9 hours of tutorials. Due to the intensive nature of the course, students are expected to spend full day on campus. Lectures will be delivered by GNLU Faculty or by any other resource person who may be designated by the University to take lectures, each day for 5 working days a week. Summer School is open for students pursuing graduate and post graduate studies in law, member of academics and professionals of allied disciplines. Certification: All students will be provided with a certificate that will include their name, course and grade. Duration: 2nd July to 21st July, 2018. Deadline for Registeration: 31st May, 2018 for Indian students, 5th June, 2018 for Foreign students. Fee structure is inclusive of tuition fee, boarding, and accommodation (non-Air Conditioned twin sharing rooms). However, it does not include travel grants and related expenses.